If stacking coupons leave you overwhelmed, extreme couponing might not be for you. But that doesn’t mean you should miss out on the benefits of coupon savings altogether. After all, more people than not use coupons. While some shoppers are too embarrassed to present coupons at the register, many others are racking up on savings. In fact, the most prodigious users of coupons–22%–are actually shoppers with six-figure incomes, according to the Statistic Brain Research Institute. But now–thanks to technology such as load-to-card rewards, rebate apps, and various types of e-coupons–there are numerous ways shoppers can use their coupons without the fear of embarrassment to save money before or after the checkout lane. One of the many incentives of using electronic coupons, or e-coupons, is their convenience and ease of use. Not to mention, for shoppers who’re shy to roll out their coupon at the register, e-coupons help remove the stigma of penny pinching frugality when it comes time to present them. Paper coupons are still big business, but easier, high-tech alternatives help shoppers save without all the clipping and organizing. These new types of coupons and savings tools help you save in all the same ways you remember from traditional paper coupons and sales: discounts, free shipping offers, buy-one-get-one deals, first-time customer incentives and more. By using electronic coupons or coupon apps, shoppers are more likely to perceive you as a savvy insider than a deals-hungry discount digger. Here are several time and money-saving coupon apps that have made a difference for customers in retail. Electronic coupons are digital coupons you store and show on your smartphone. Online printable coupons for stores such as Pier 1 Imports or Bed, Bath & Beyond are printed out, carried with you and presented at the register at time of purchase. Get an instant discount when you plug in these alphanumeric codes to the discount or coupon field when placing your online order. Sign up for promotional programs advertised in your favorite stores or on their websites to receive your loyalty card. Show or scan your store card at the register to receive credit for your purchase or any special discounts or coupons. Too many loyalty cards? Digitize them on your smartphone with an app like Key Ring, which can also digitize your gift cards. Card-linked offers are digital coupons or discounts loaded directly onto your store loyalty card, debit card or credit card. At checkout, the deals and savings are applied to your card. 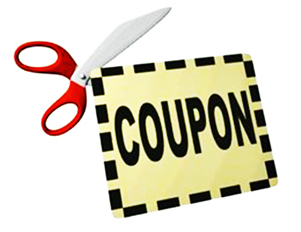 Smartphone coupon apps help you track down and manage digital and printable coupons. These apps all work differently, so before you start downloading be sure to research each one. Cellfire, for instance, lets you view all your saved coupons–including grocery coupons to your store loyalty card. You can even receive e-mail notifications about existing offers before you walk into the store. With Grocery IQ, you can print out coupons or add coupons to your savings card as well. When you download the SavingStar app, you can select the offers you want and link them to your grocery or drugstore loyalty card. After checkout, or after you take a picture of your receipt, you receive your savings in your SavingStar account. Once you’ve earned $5, you can cash out to your bank or PayPal.